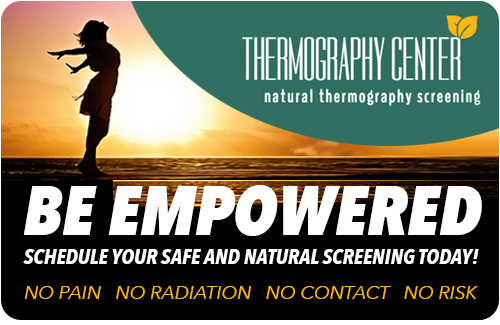 The Thermography Center (TCC) ("We") collects information from you when you register on our site, place an order, subscribe to our newsletter, respond to a survey or fill out a form. When ordering or registering on our site, as appropriate, you MAY be asked to enter your: name, e-mail address, mailing address, phone number, and credit card information. You may, however, visit our site anonymously. To administer a contest, promotion, survey or other site feature To send periodic emails: The email address you provide for order processing, may be used to send you information and updates pertaining to your order, in addition to receiving occasional company news, updates, related product or service information, etc. We implement a variety of security measures to maintain the safety of your personal information when you place an order or enter, submit, or access your personal information. We offer the use of a secure server for any and all monetary transactions. All supplied sensitive/credit information is transmitted via Secure Socket Layer (SSL) technology and then encrypted into our Payment gateway providers database only to be accessible by those authorized with special access rights to such systems, and are required to?keep the information confidential. Yes. “Cookies” are small files that a site or its service provider transfers to your computers hard drive through your Web browser (if you allow) that enables the sites or service providers systems to recognize your browser and capture and remember certain information.